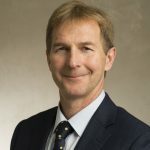 During my recent trip to the UK, Chris Wormald, Head of the UK Civil Service Policy Profession, asked me to share my perspectives, as his New Zealand counterpart, on lifting policy capability and quality. To tackle these issues, we adopted a 'collective impact operating model’ – based on Stanford University’s model of social innovation – hoping this would ensure changes were more substantial and enduring. In August 2016, Prime Minister John Key launched the three frameworks for policy improvement that spearhead the Policy Project’s approach. They focused on: skills; capability; and quality. The Policy Quality Framework describes the key characteristics of quality policy advice, as well as identifying the enablers of great advice. 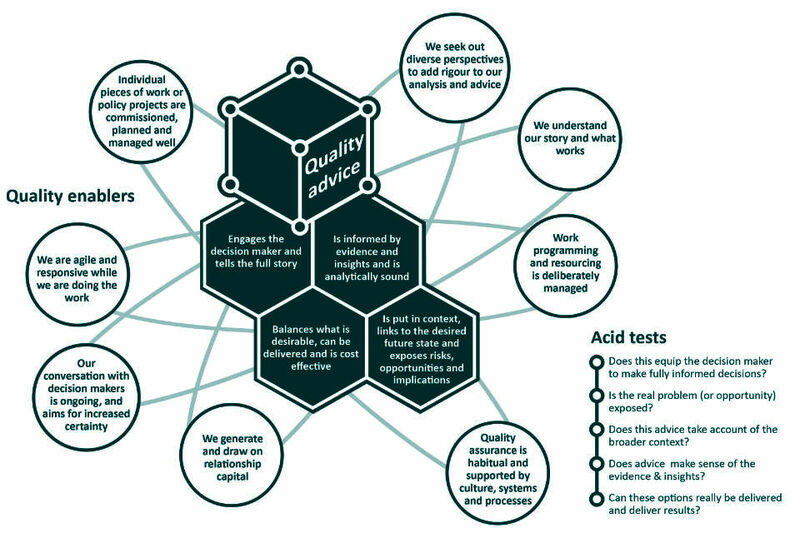 This framework and its accompanying tools are being used by many agencies as they develop papers and perform agency-wide reviews of the quality of advice. 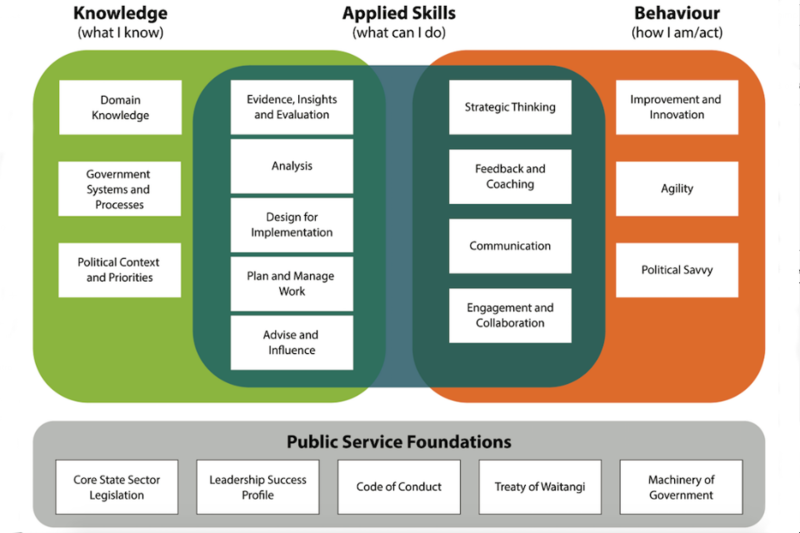 The Policy Skills Framework sets out the knowledge, applied skills and behaviour that public policy professionals need to deliver quality policy advice. It comes with tools to enable individuals and teams to identify where development is needed. It can also add value in areas like recruitment, performance assessment and remuneration decisions. The Policy Capability Framework sets out the key questions that agencies need to answer to assess their policy skills. It is now used by many agencies to test their capability and identify improvements for producing quality policy advice. All of this was overseen by a new Policy Profession Board, comprising chief executives (similar to UK Permanent Secretaries) and deputy chief executives chosen for their potential to be system-level champions. This reflects lessons from the UK, without going as far as having formal departmental heads of policy profession. Establishment of a Policy Capability Leads Network of policy practitioners and managers who already take a lead role in improving their agencies’ policy capability. Policy Profession Board agreement to seek three-year club funding commitments from larger agencies. a policy workforce analysis to identify issues and assess the appetite for collective action. developing guidance and support for agencies to foster a culture of Free and Frank Advice and Policy Stewardship (now published with supporting Frequently Asked Questions). In the first three years of the Policy Project, the four approaches below have made an important contribution. Do with, not to – we have generated a lot of good will and ensured relevance by involving policy leaders, managers and practitioners in developing a common change agenda and solutions. Steal with pride – we have avoided ‘reinventing wheels’ by taking what has been successful elsewhere and working it into our frameworks. Outside-in legitimacy – domestic recognition of our approach and common frameworks was assisted by receiving some international recognition, including from Australia (e.g. on people-centred policy and free and frank advice) and the OECD (skills for a high-performing civil service). Influencing the people who make decisions – we have hosted executive roundtables with international and domestic subject matter experts, and published ‘conversation trackers’ from these events to help stimulate demand for more innovative policy methods. Complex system level barriers – we are working over the long term to reduce barriers to agency change. These include accountability requirements, resource constraints, and fragmented governance arrangements. We need to address whether we have the right institutions and mechanisms for better policy collaboration, prioritisation and stewardship. Role and goal clarity – the Policy Project focuses on building policy capability rather than actual policy development. Even so, it is vital to identify the right objectives and the right sequencing of interventions to achieve them. Behaviour change – we are ensuring all our activities are easy to use and hard to avoid. We are particularly focused on supporting agencies to adopt our frameworks. The management cohort – the pressure to deliver according to the status quo weighs most heavily on policy managers. They have less of a mandate than senior policy leaders to drive systemic reforms, and more incentives to prioritise delivery over change. Measuring impact – the Policy Project monitors its webpage traffic, framework uptake, event attendance, and policy quality impact. The challenge now is to show how this has resulted in real changes to policy quality. I look forward to the next three years of the Policy Project, as we build on our progress and work with the policy community to design and implement innovative solutions for these challenges. I hope the tradition of exchanging knowledge and wisdom between New Zealand and the UK continues to benefit us both in the coming years.